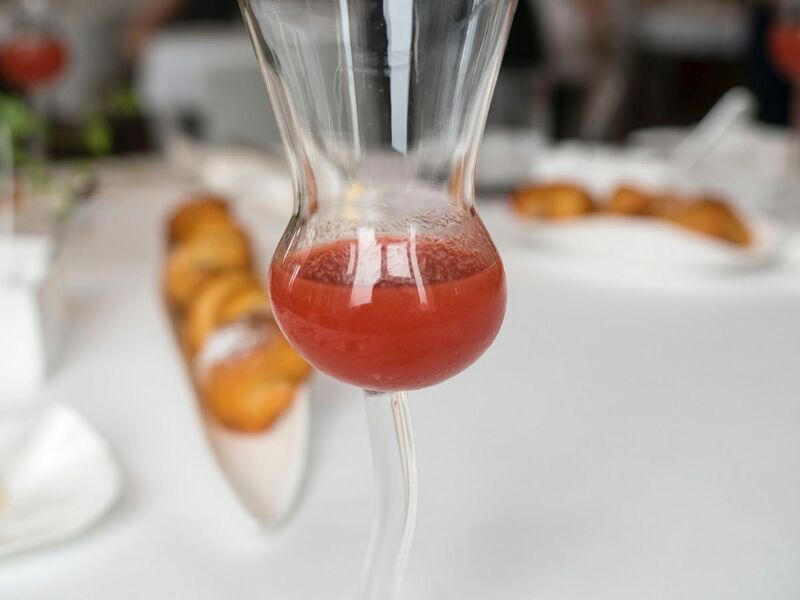 Jean Georges has long been one of the pioneers of French fine dining in Shanghai, and opened on The Bund from as early as 2004; 3 years before I arrived in Shanghai. Last year in 2015, they took a short hiatus to renovate and renew, before opening with grandeur in 2016. 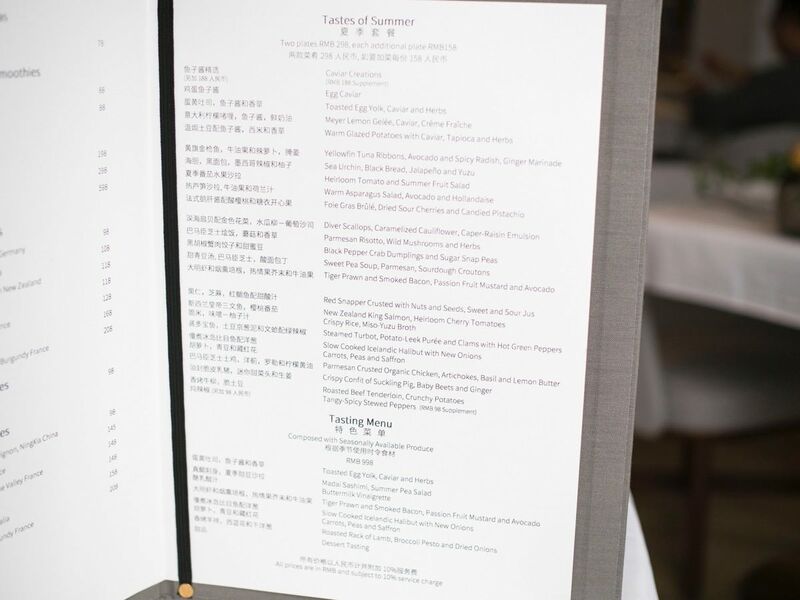 In July, Jean Georges Shanghai relaunched their weekend brunch menu, much to the delight of the growing brunch goers in Shanghai. I was pleased to be invited to a private tasting in September, many thanks to Tony and Oliver for hosting. 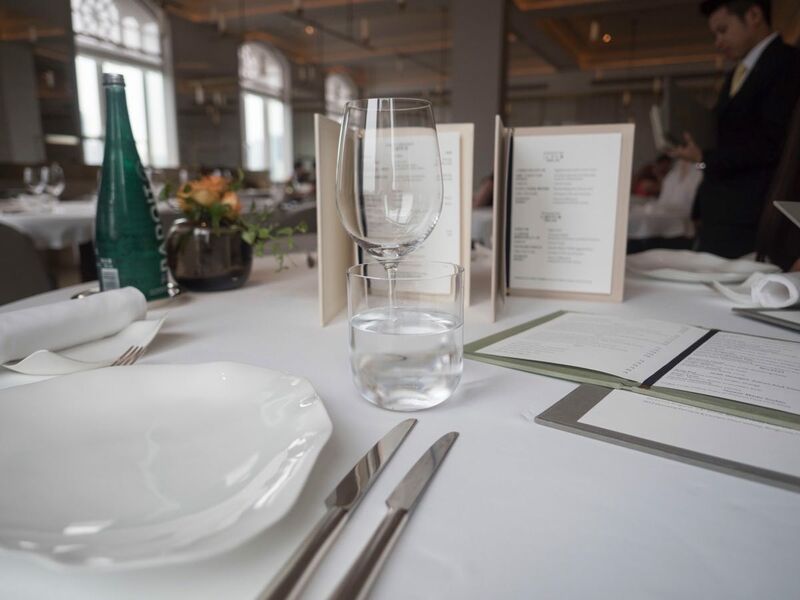 Similar to possibly their biggest competitor on The Bund — Mr and Mrs Bund (MMB), Jean Georges spots a clean and classy white tablecloth restaurant look. Unlike MMB, Jean Georges does not offer an outdoor terrace to show off it’s bund-view location. 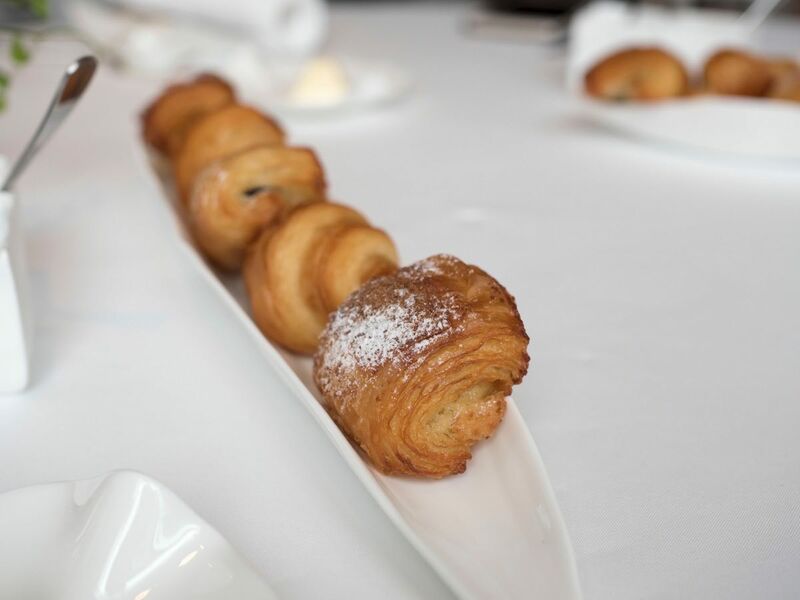 As one entered the restaurant past the reception, you will first be faced with a secluded bar-lounge area, before walking past a giant open bakery, where the restaurants’ baked goods are freshly produced. The actual dining room is probably 30% of the entire restaurant. Tables are very well spaced apart and comfortably sized. I particularly liked the chairs, which were wider and more spacious than normal chairs you see elsewhere. Cool natural daylight flooded the dining area from the bund-view windows, balanced with subtle warm lighting from the ceiling. It was also refreshing to see that the interior design did not feature the now overused black and white tones, instead, bronze-like metals against white. 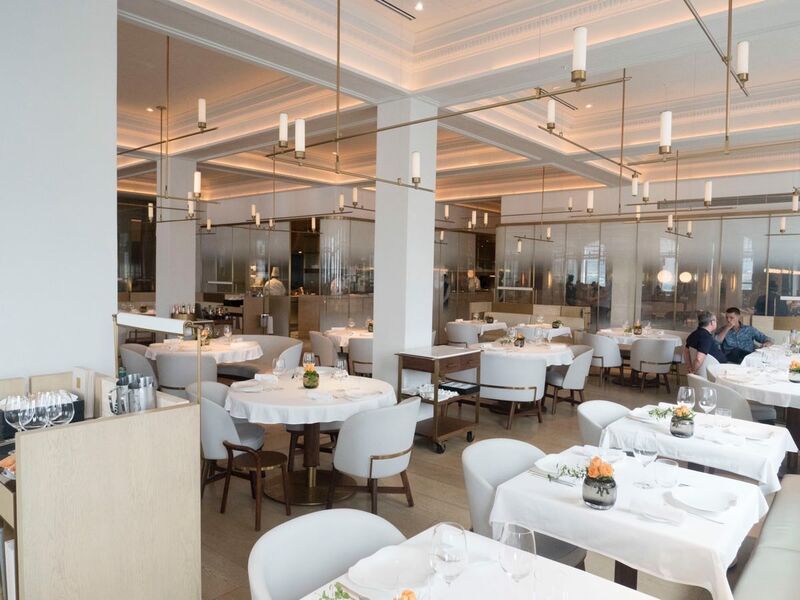 This gave a unique air to the atmosphere, giving the decor at Jean Georges a distinct modern feel. The feeling was akin to unboxing a brand new Macbook Pro for the very first time. Perhaps part of this was due to the fact that the restaurant had indeed only been recently renovated, and thus considered brand new. For now, they deserve to be in a class of their own, and get a 10/10 for decor. As this was an invited tasting, an unbiased score of 7.5 is given. 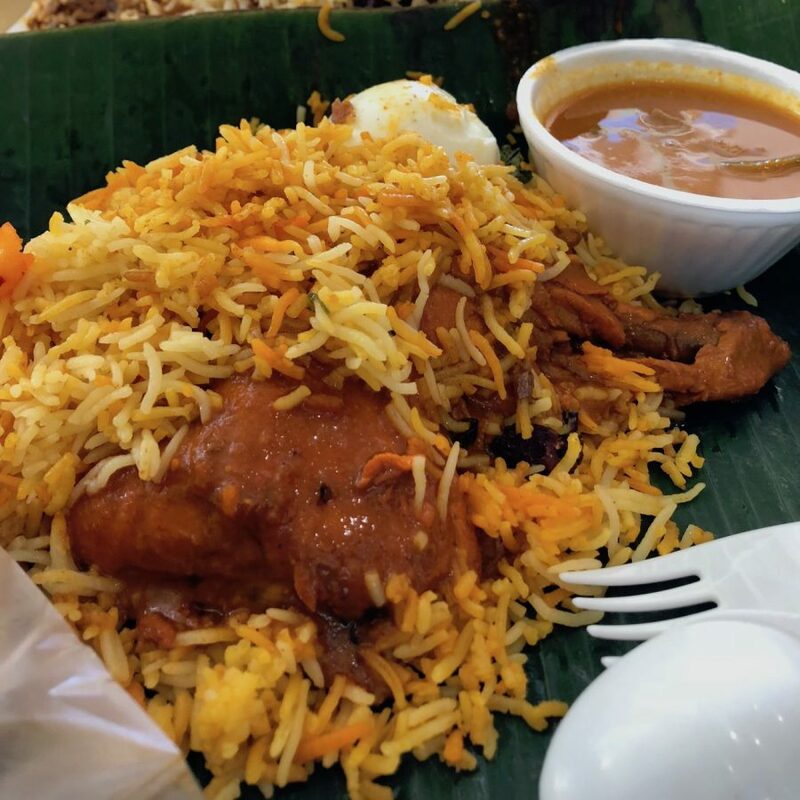 I can however say off the record, that service seemed impeccable, with a lot of attention being given from the different staff; From the explantation of every dish served to the prompt replacements of used dishes and cutlery. Firstly, to get the elephant in the room out of the way, prices in a classy place like Jean Georges is not cheap, nor should it be. However, I discovered that it wasn’t particularly expensive either, compared with many other restaurants of similar or lesser calibre. If you are only interested in brunch, there are two brunch sets available: the JG Brunch set for RMB 298 or the JG Luxury Set for RMB 498. 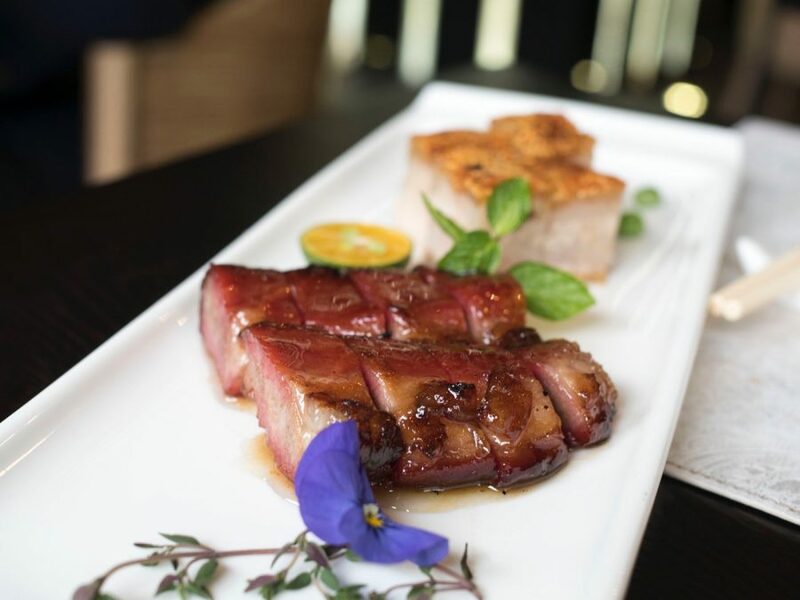 There is a seasonal menu offering two dishes for RMB 298, with each additional dish costing RMB 158. 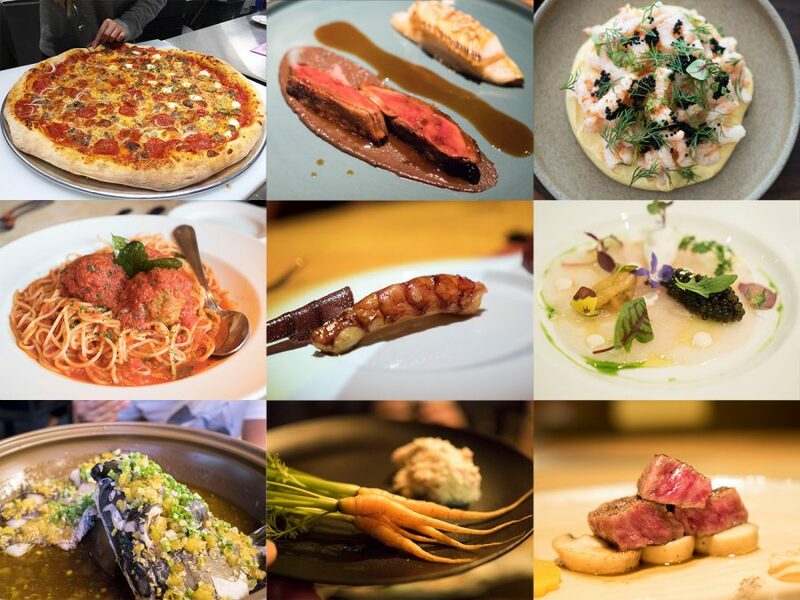 If you are out to taste the classics at Jean Georges, you could also go for the tasting menu at RMB 998 per person consisting of 5 courses. For that morning, we got to sample the newly launched JG Brunch Set. To start, we were offered house bread, a choice of freshly baked French rolls or a walnut bread. 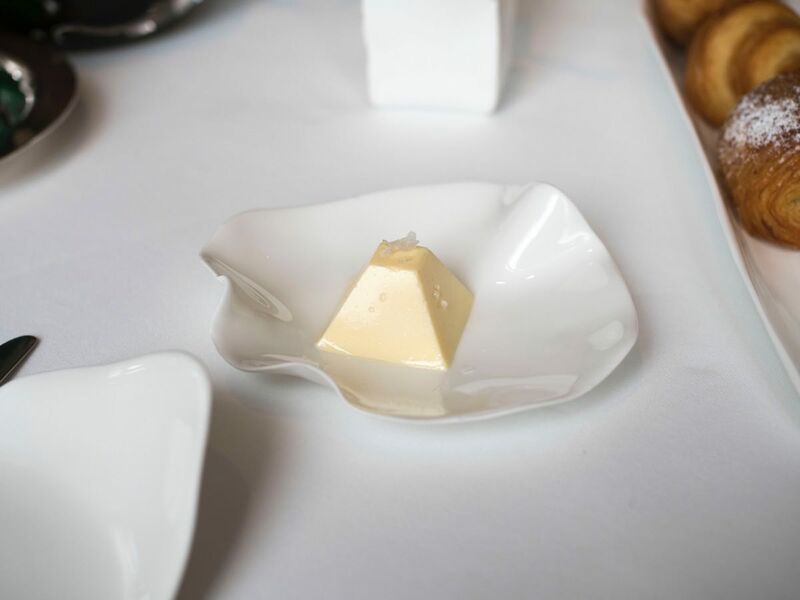 Room temperature butter was served in the shape of a ziggurat (a flat top pyramid). The butter tasted mild and delicate, its flavours accented with the salt flakes. 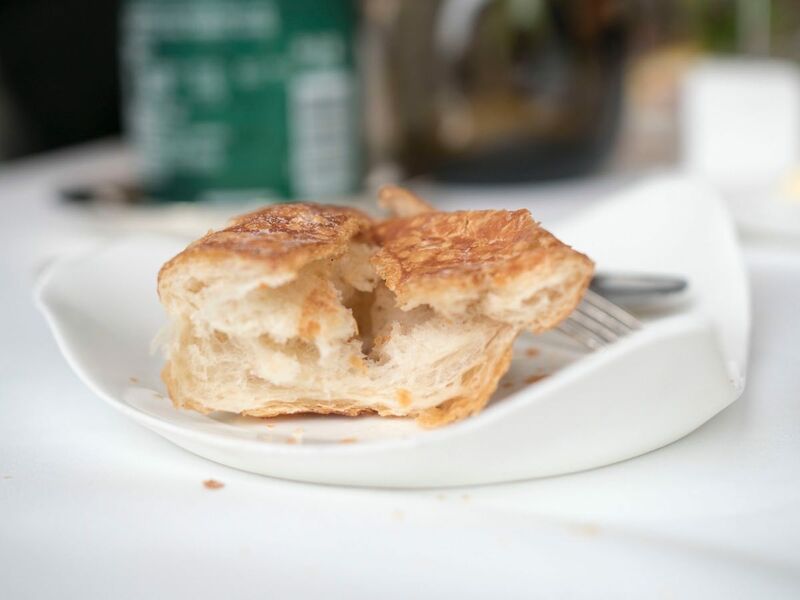 I especially loved the fresh French rolls, which had a very light crispy crust, but soft, warm and airy within. This was one of the best french rolls I’ve ever tasted! Simple, but spectacularly so. This was served complimentary outside of the brunch menu. 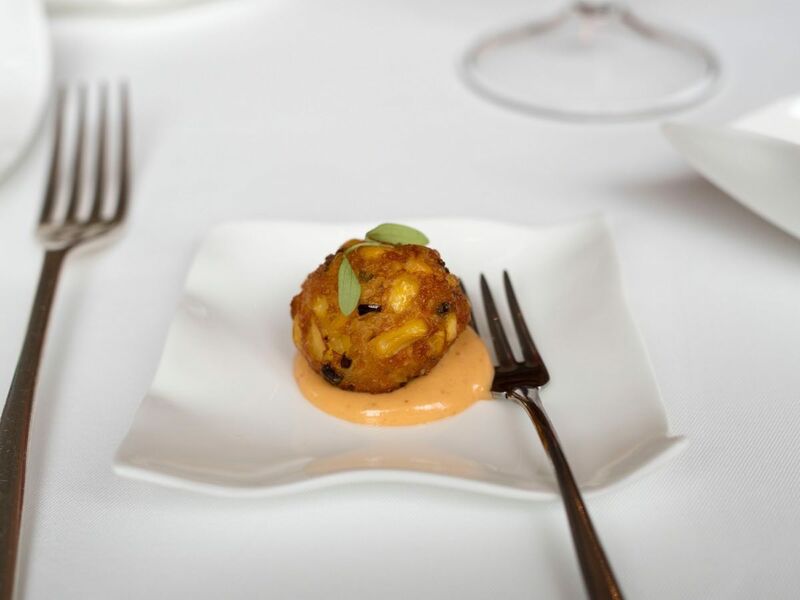 An amuse bouche platter consisting of a potato and corn hashbrown/croquette, served on some aioli-like sauce. The potato flavours matched with the sweetness from the corn tasted lovely and comforting. 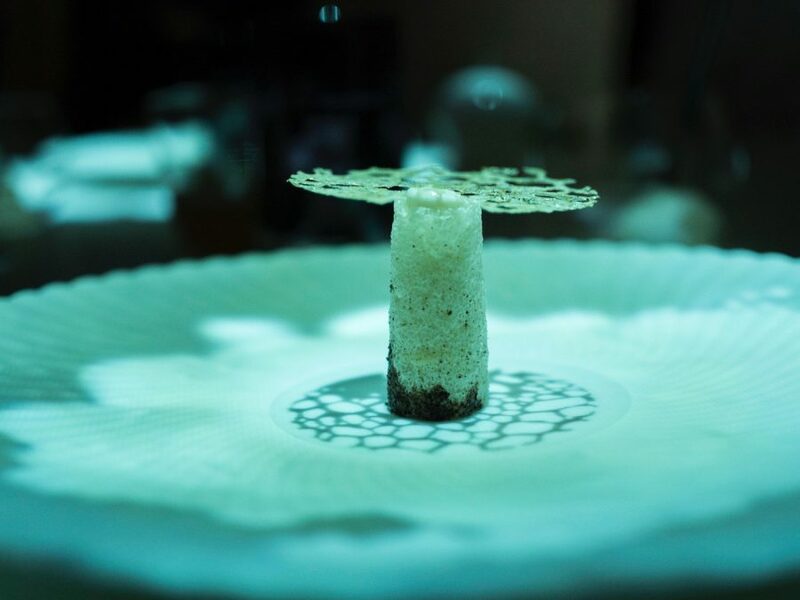 I only wished that this was a dish of it’s own, instead of a one-bite amuse bouche. The next bite was smoked salmon wrapped around a piece of cucumber with dill. The salmon was nicely cured and was packed full of flavour, accented with the dill. 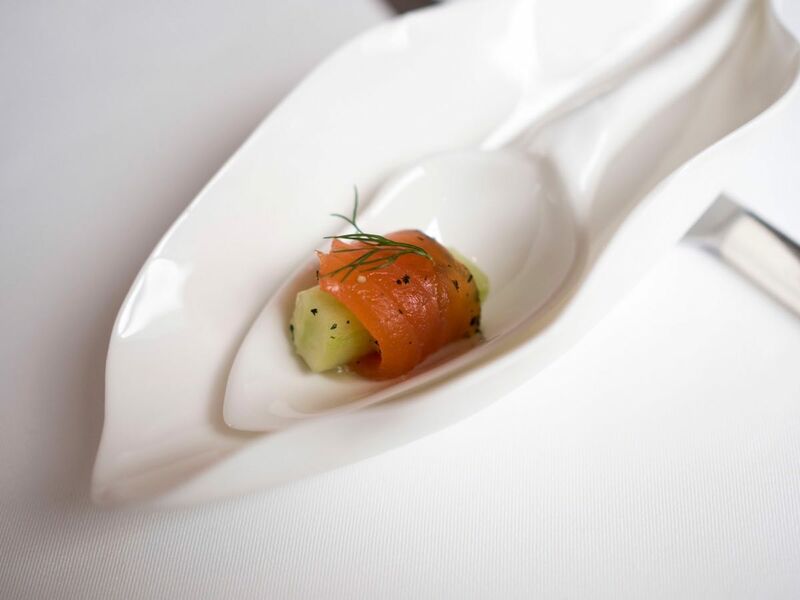 The cucumber let out a wave of freshness, almost serving as a palate cleanser while still chewing on the salmon. Finally, a small glass of gazpacho which I remember the server claimed to have raspberries. I was quite surprised to see this as one of the two mains. 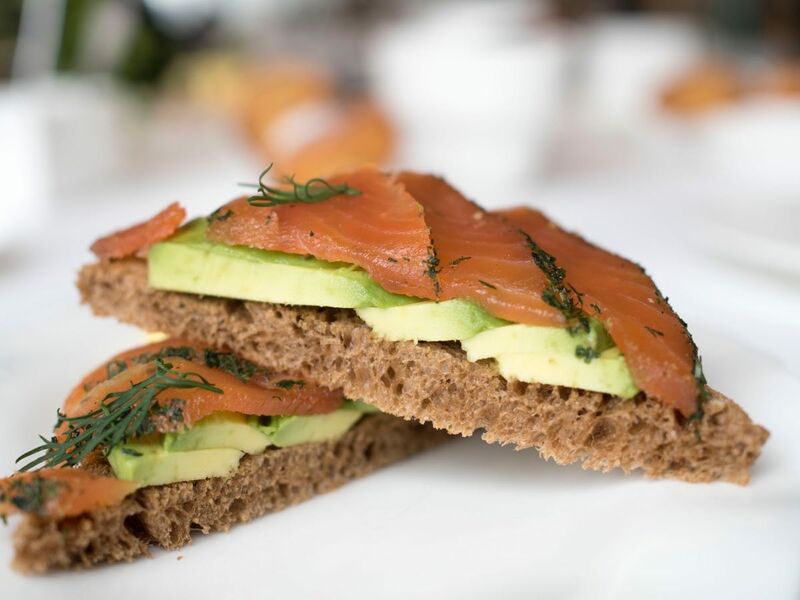 Dill-encrusted smoked salmon, with fresh looking avocado on what I think to be rye bread. It tasted nice, largely from the quality ingredients. 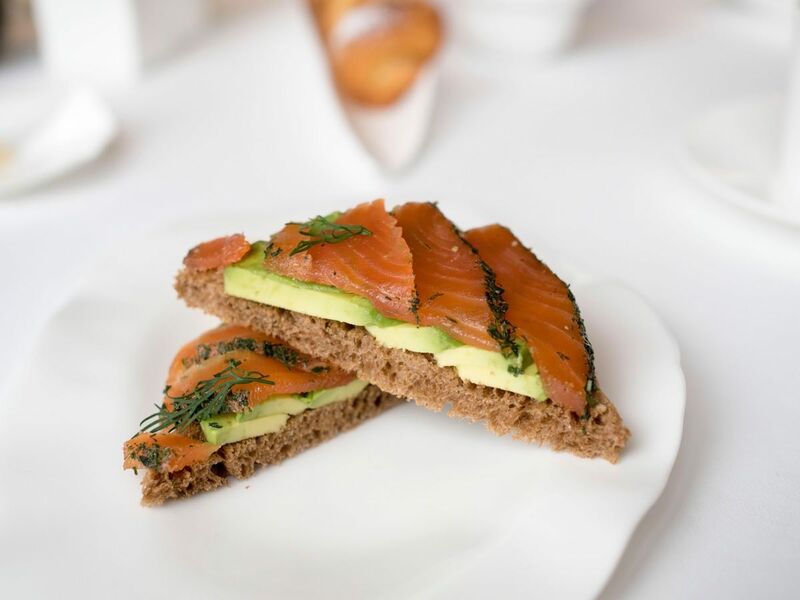 However, that was as far as this dish could go, because in essence, it was simply pieces of salmon and avocado on bread! Jean Georges was the only restaurant I’ve been to where eggs benedict was served as egg benedict. That is to say, one, singular, classic eggs benedict on a plate. There were no strips of bacon nor sprinkles of caviar to elevate it. A bold move, this had better be one amazing egg benedict, which it was. As simple as it looked, with perfectly sliced micro spring onions, the egg benedict at Jean Georges was the best one I have had so far. The hollandaise sauce was perfectly whisked and seasoned with an ever so slight tanginess, against the creamy mouth-feel. The yolk from the poached egg flowed out, red as the setting sun, and had a deep richness in its flavour. The french ham, delicately sweet and just slightly salty reminded me what good ham should taste like. But this wasn’t about how correct the hollandaise sauce tasted, nor how perfectly the egg was poached. 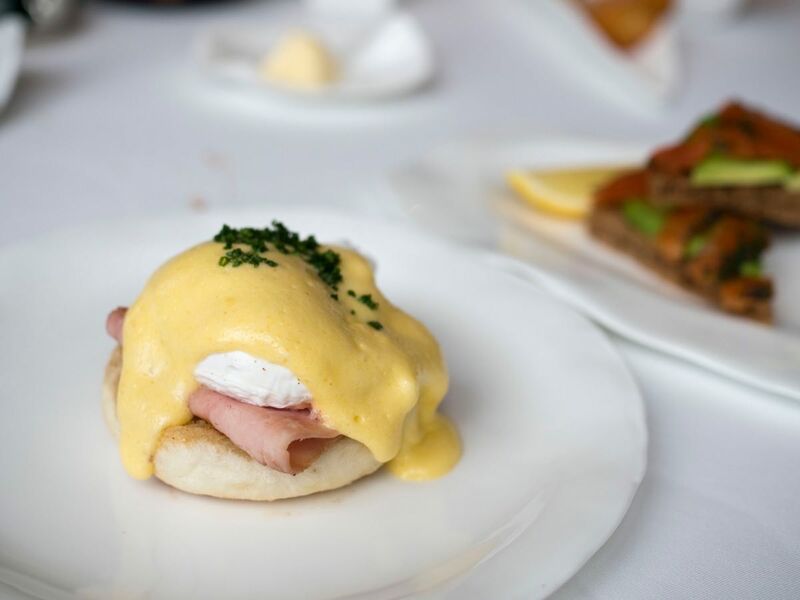 This egg benedict revealed to me why the classic eggs benedict became a mainstream dish, and one of the most popular brunch item around the world — Every component simply came together harmoniously! 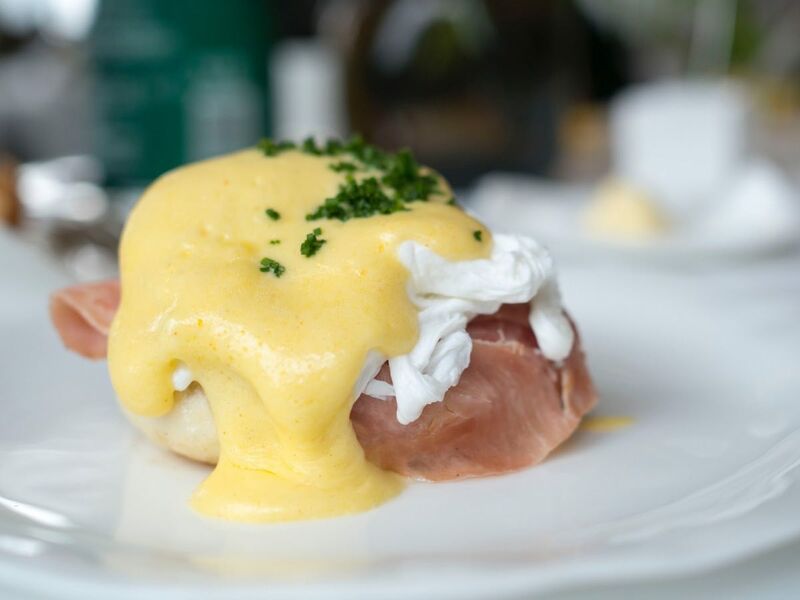 The hollandaise sauce, poached organic egg, imported French ham ontop of the english muffin which soaked up everything. The flavours combined together in a bite that was neither too salty nor rich. 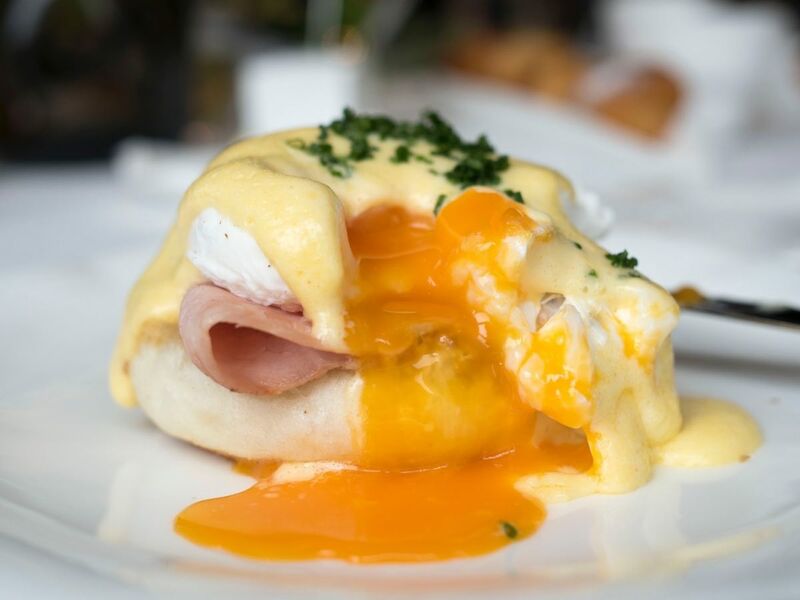 The first bite of the egg benedict felt like wars could be stopped with it. Yes, I am raving… but it was really good and somehow managed to outshone the many other eggs benedict that I have had from all over the world. A little bit to my dismay, the egg benedict was the end of the savoury courses, bringing the meal to a pre-mature close. 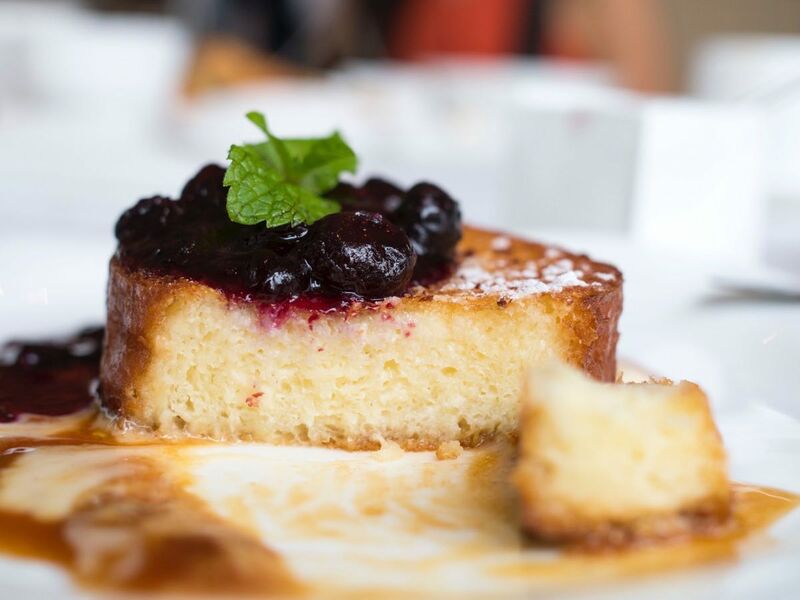 The French toast served at Jean Georges was a peculiar one. 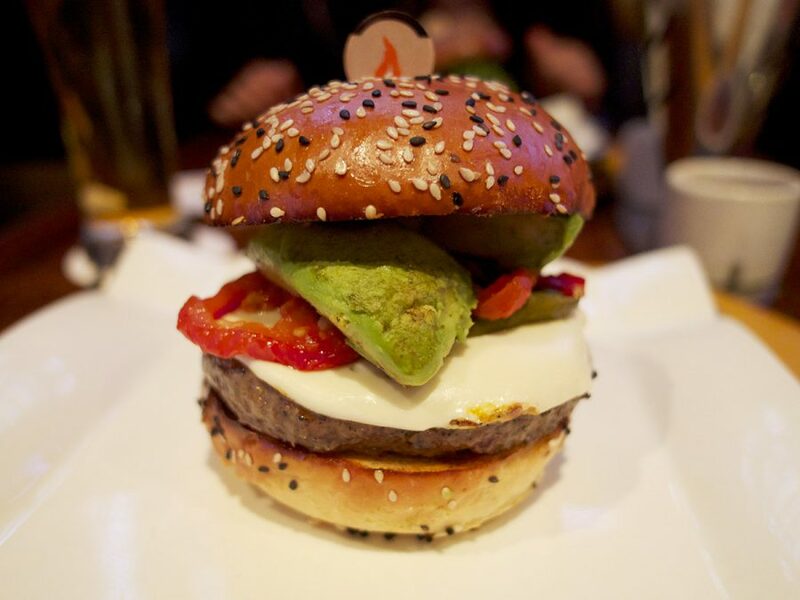 Finally a course that visually matched my expectation of a dish at Jean Georges. Unlike most other places that serve French toast as a rectangular or a halved slice of bread, the one here was a circular slab, almost like a slice of swiss roll. 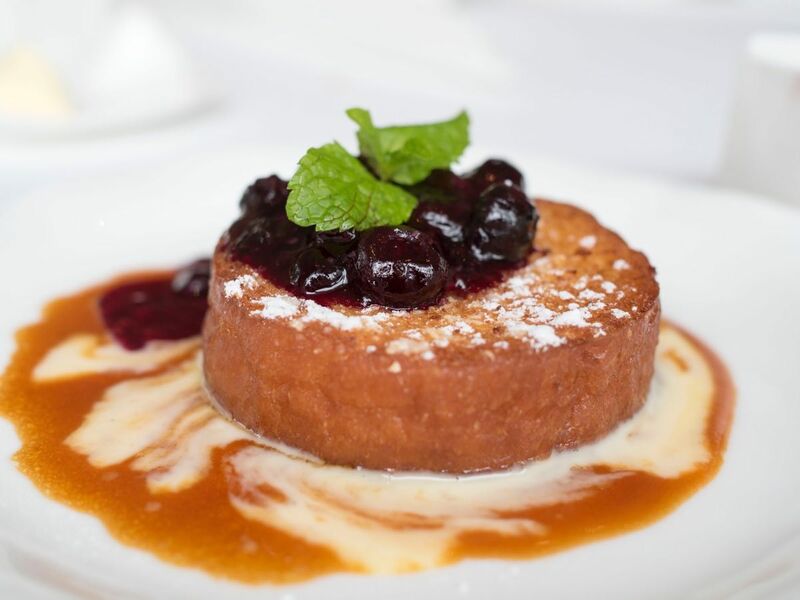 Blueberry compote was paired on top, with the toast resting atop a caramel-like sauce. No cream component was paired. Interesting. Upon cutting, I found the circular toast to have a thin crispy crust which gave way to a moist, porous and soft interior. Even after cutting through, the shape of the toast managed to keep it’s shape well. Upon tasting, buttery notes of caramel with the milk infused bread filled the palate — very pleasant. The blueberry compote was nothing to shout out for, but complemented the toast very well. I noticed that the exterior seemed to have been sugar-caramelised like some of the other modern french toasts, but very consistently so, such that there was little charring, but instead a consistent brown caramelised layer. 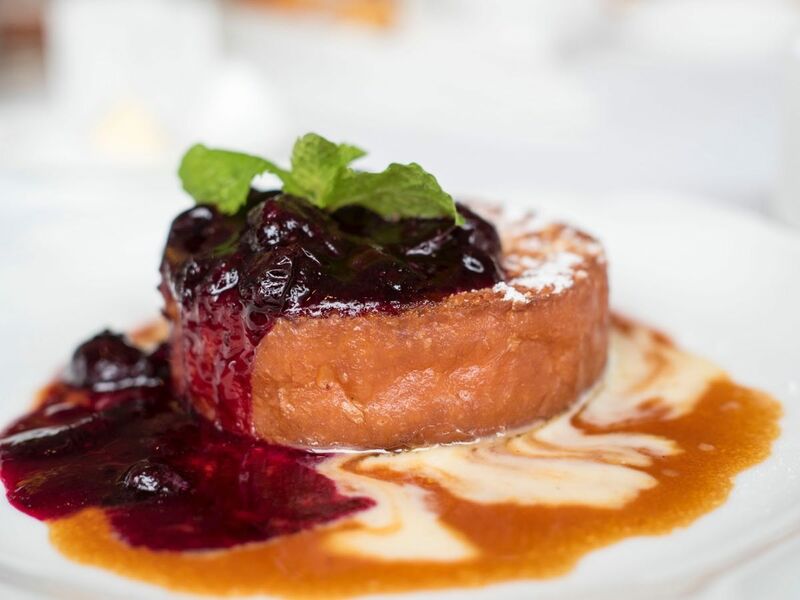 PS: I didn’t mentioned anything about pairing ice cream with french toasts this time, nor in future, because as it turned out, I’ve received feedback that french toasts shouldn’t be enjoyed with ice cream, at least not in the west. 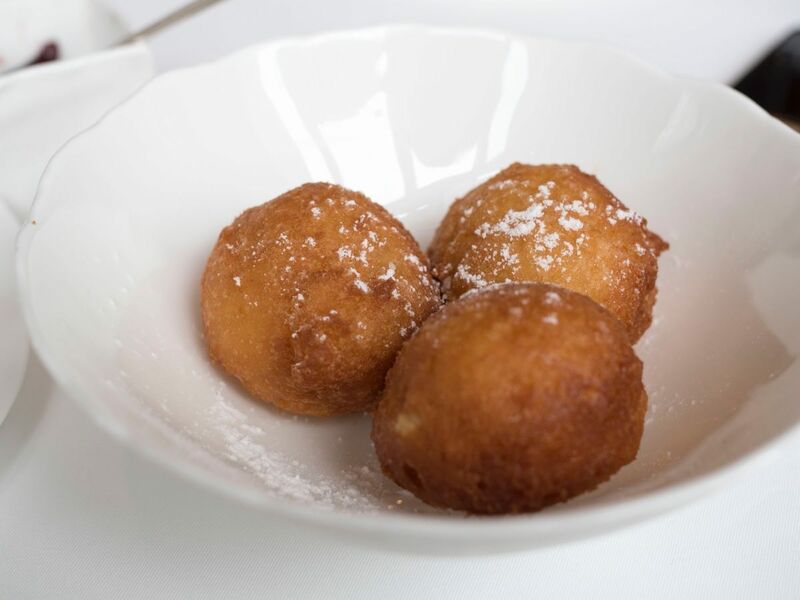 Somehow, after the previous two spectacular courses, we were grounded back to basics with three unassuming beignets. To conclude, there were some eye/mouth-opening moments throughout the few courses, in the case of the egg benedict and French toast. 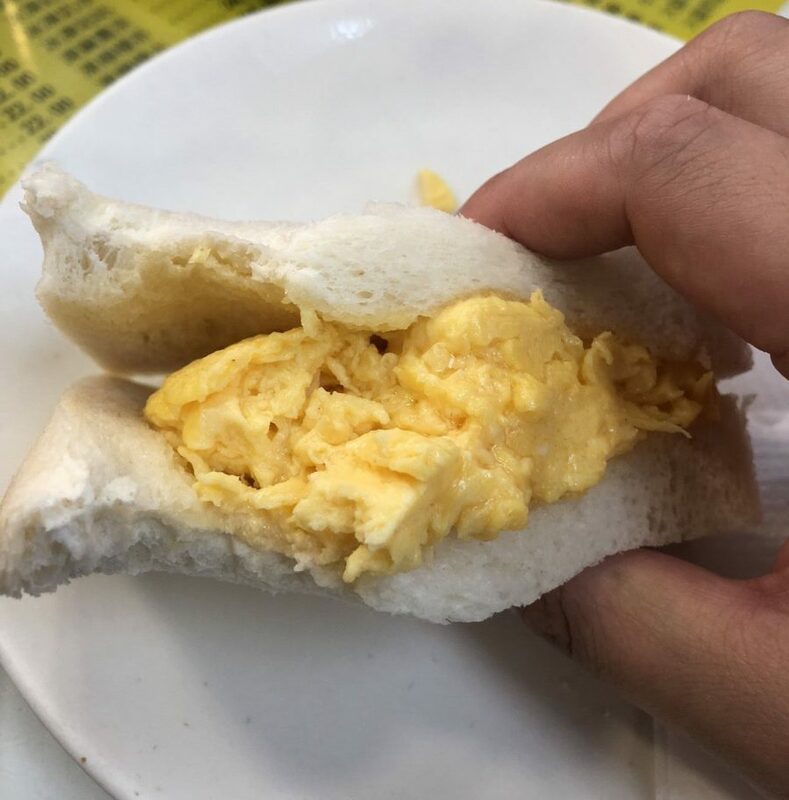 However, me and my peers (who had tried the brunch on another occasion) felt that the brunch consisted of too much bread, and felt like one was being stuffed with breads and pastries. Perhaps to many bread-loving people, this was a match made in heaven, but I would have preferred a more varied selection between meats and vegetables that didn’t included bread in every course.